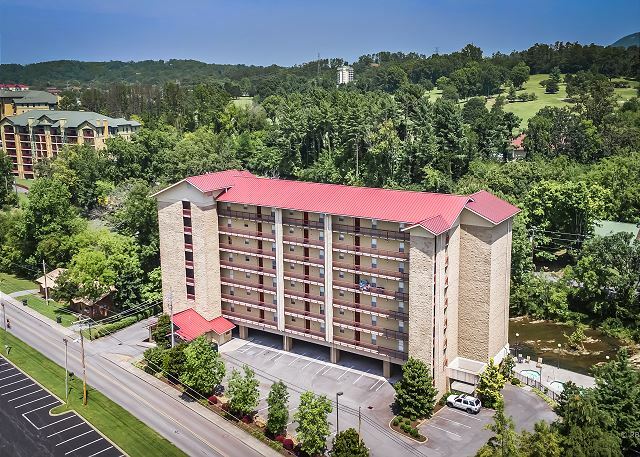 This Pigeon Forge Condominium sits a block off the Pigeon Forge Parkway and just minutes from Dollywood and the National Park. 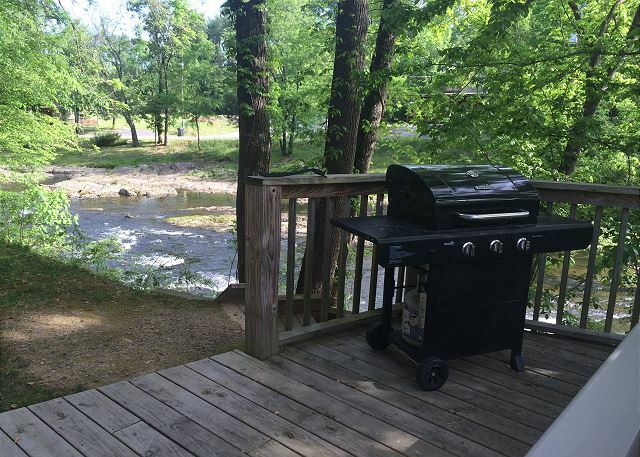 We are located on the Little Pigeon River so you can enjoy relaxing on your private riverside balcony with the river rushing along below. 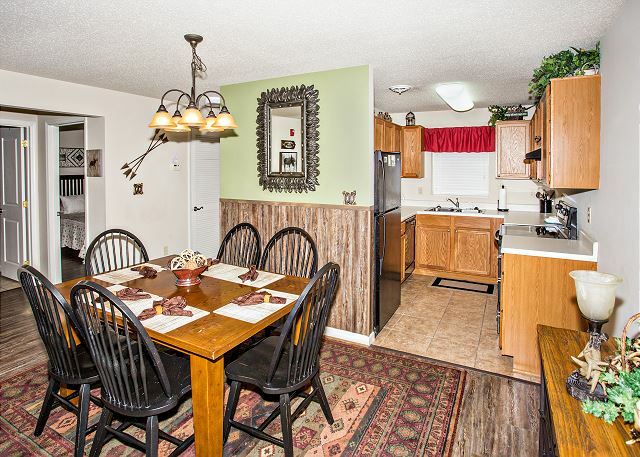 Equipped with a Full Kitchen, this condo is also great if you do not want to eat every meal out. King Bedrooms and Full Bathrooms help give everyone their own space and then the spacious living room is a great place to get together and catch up! Join us in Pigeon Forge on your next vacation, we know you will love it! 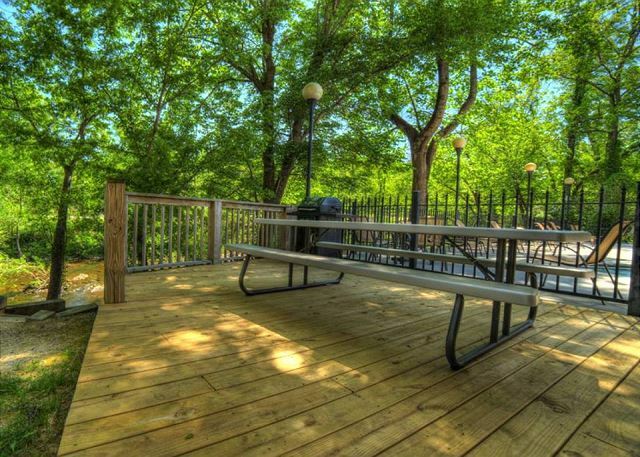 Cedar Lodge Condominiums on the River Property Amenities include: Corn-hole, Fishing (with TN license), Seasonal Outdoor Pool/Hot Tub & BBQ Grills. This is the second time we have stayed in Cedar Lodge 704. It is beautifully decorated and the Christmas decorations were tremendous. We'll be back!! Thank you for your great review and comments. We appreciate them. Call us when you are ready to reserve and get a repeat guest's discount. We will be expecting you; hope you can visit us soon. Great location and nice condo. Beds are a little hard but is our only complaint. Decided to leave a day early so we could get back home to our own beds. Overall very nice condo and very clean. We love to hear that you had a nice time staying with us at Cedar Lodge. 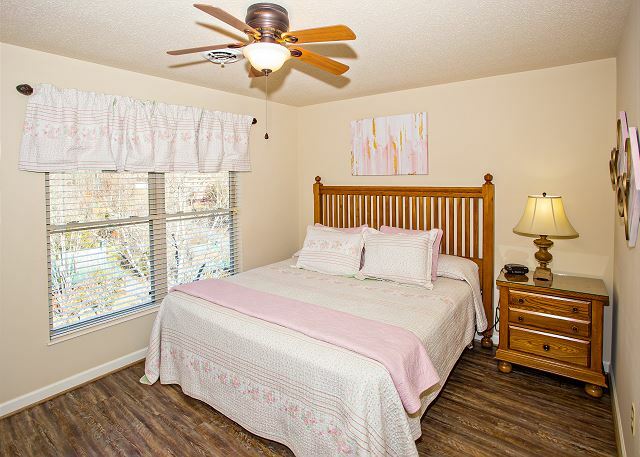 We are terribly sorry that the beds were not to your preference, all of our condos are individually owned so hopefully next visit we can help you find the perfect match. We appreciate your review and hope to see you again in 2019. We had a great experience. I don't think I will ever stay in another motel. Wonderful! So happy to hear that you loved your first experience vacationing in a condo. It is absolutely a different experience as it provides everything you would need while on your trip. 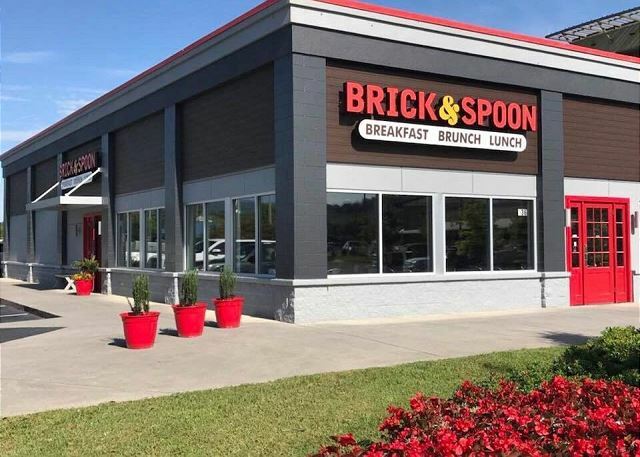 Thank you for staying with us and please come back and visit with us the next time you are in Pigeon Forge! Thank you so much for staying with us at Cedar Lodge! We're absolutely thrilled to hear that you had a wonderful getaway in river view condo 704. The owners will love hearing that you enjoyed their Christmas decorations, we appreciate your kind comments. We hope you have a very happy holiday and we welcome you to stay with us again the next time you're visiting beautiful Pigeon Forge! We appreciate your visit, perfect review, and comments. 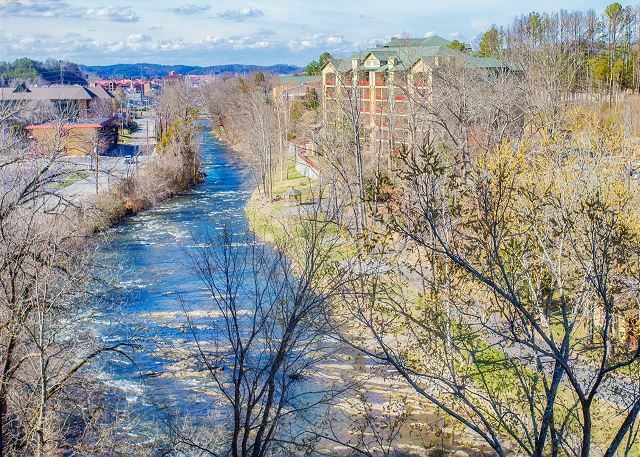 Cedar Lodge Condos on the River in Pigeon Forge is in a perfect location for peace and quiet and all the attractions in Pigeon Forge and the surrounding area. We look forward to your future visits. We stayed at Cedar Lodge 704 for a long weekend . When we arrived in Pigeon Forge we called the office and they took our cell number and called us when our condo was ready . Check-in was fast and easy , the condo was exactly like the pictures , very clean . Perfect location . We enjoyed our stay and hope to return soon. Thank you for sharing your Condo. Thank you so much for choosing Cedar Lodge for your vacation needs while visiting Pigeon Forge! We would love for all of the condos to be ready by the time our guests arrive, but during peak seasons such as summer, that can simply be impossible. We truly appreciate you being patient with us, and allowing us to notify you the moment your condo becomes available. That way you're able to go ahead and grab a meal, or start enjoying town. We're happy to have made the check in process as smoothly as possible for you and that you really enjoyed the condo! We appreciate you sharing your experience with us and welcome you back to visit with us again soon! Great place, but were disappointed that there was no lazy river, as advertised. Thank you for staying with us at Cedar Lodge Condos on the River in Pigeon Forge. Cedar Lodge is located in a quieter setting just a block off the parkway, but our Lazy River is located at Whispering Pines. We apologize for the misunderstanding. We appreciate your excellent Review and look forward to your staying with us again. Thank you so much for spending you summer vacation with us at Cedar Lodge! We are so happy to hear that you got the relaxation you deserve, and enjoyed the accommodations. 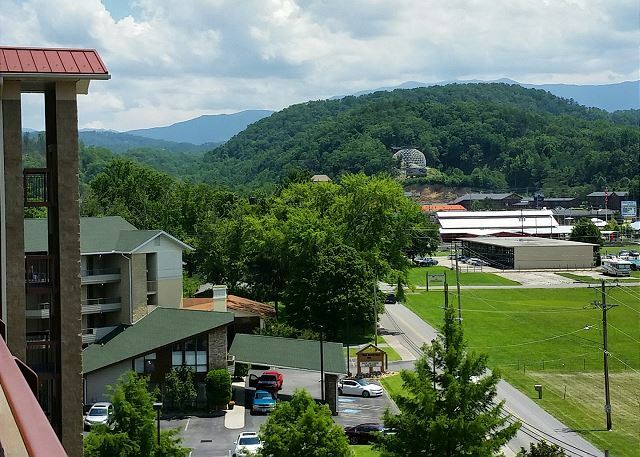 We welcome you back to visit with us again whenever you're in our beautiful Pigeon Forge area! Riverside was a good choice. We spent 2 days and 3 nights in Pigeon Forge to attend a wedding & enjoy the local attractions. We liked the condo because it was better than a hotel room, was set back from the main drag yet close to everything. Thank you for vacationing with us, glad to hear you enjoyed staying at our Cedar Lodge Property! 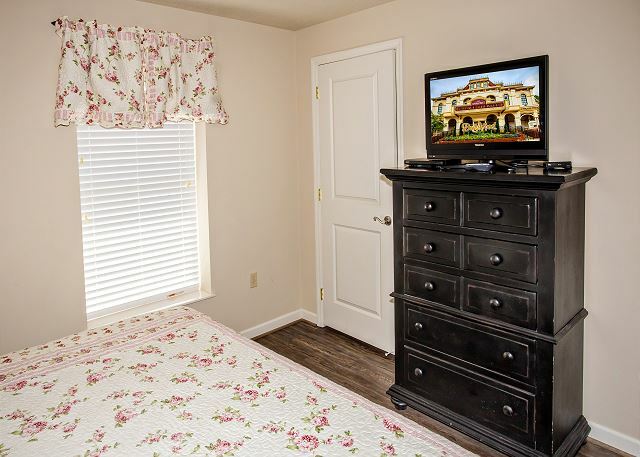 We hope you choose to stay with us again the next time you are in the Pigeon Forge area. We had an excellent time. We always stay in one of the condo locations and have never been disappointed. They are beautiful, quiet, clean, and most of all like being at home. Thank you so much for being a long time loyal guest with us at Resort Properties. Your amazing comments mean so much. We appreciate you taking the time to let us know how much you have always enjoyed your time with us. We look forward to your next visit. We enjoyed our trip and plan to visit again. Wonderful! Thank you for letting us know that you enjoyed your stay at Cedar Lodge. We look forward to seeing you again soon. My husband and I enjoyed our stay at cedar lodge. Everything was very clean and quiet. The staff was very friendly. Our only complaint is about the beds. They were very uncomfortable. Thank you for your visit and comments. We are glad that you and your husband enjoyed your stay. We apologize about the beds and will make sure the owner gets your message. 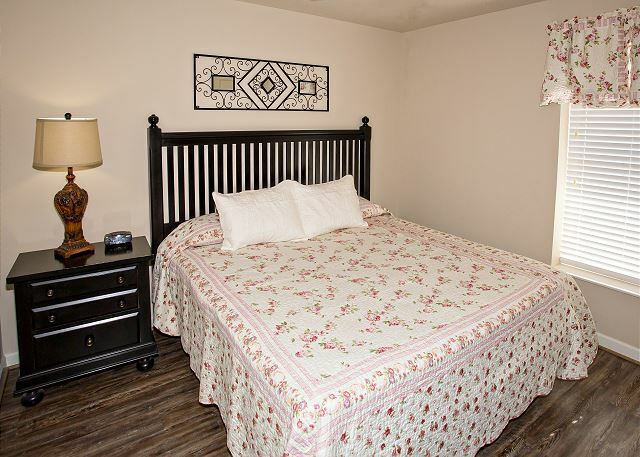 Cedar Lodge is located in a quiet area but is so close to the parkway in Pigeon Forge. The balcony provides such a quiet, serene atmosphere but you can be in the middle of the "busyness" in a very few minutes. We look forward to your return. Well equipped, good location, quiet. Wonderful! We love hearing that you feel right at home while staying with us at Cedar Lodge, this is music to our ears. We are glad that you had a great experience with us and found the condo to be well equipped, quiet and in a convenient location. Thank you for your review and we look forward to your next visit. Thank you for staying with us during this years Fall Rod Run. We appreciate your kind words regarding our convenient location and staff. Your review is very appreciated and look forward to seeing you again soon. My husband and I started our vacation at Cedar Lodge on Memorial day in unit 304, which was lovely. He became very ill early on the morning we were to check out. He wound up being in the local hospital for 12 days (excellent care! )and we needed a place to remain in the area until he was strong enough to travel home. We stayed 11 days in this beautiful condo before transferring to Unit 102 (also lovely) for our last week there. That's right we stayed in 3 Cedar Lodge condos in less than 30 days. All were impeccably clean and furnished and each special in its own way! Unit 704 is nicely furnished and actually has one more chair in the living room than the pictures on the website show. I cooked most of our meals and had everything I needed in the kitchen. We slept well at night. The condo is on the top floor and is very quiet. We loved the view from the balcony and the windows in the bedroom. If we decided to take a nap we would leave the blinds open so we had the illusion of being in a treehouse. We discovered that at 9:30PM every night while we were there Dollywood had fireworks and we had a very good view. For two people who were not able to leave the condo all of these little things meant a great deal. We especially enjoyed the sights and sounds of the river. The staff was very kind to us. On our first day we could not get the TV on and thought we had pushed a wrong button, the maintenance man, came upstairs immediately and took care of it. We had several deliveries and the front desk was very kind to make sure we received them. The property is well lit and felt very safe which was important to me since I was coming and going alone most of the time. I had to go out a time or two very late at night to get something we needed and I felt safer than I would have at my own home! My husband and I have been staying in condos rather than hotels for years and Cedar Lodge greatly exceeded our expectations! Thank you staff of Cedar Lodge! We were so pleased to hear that your husband is doing well and we were more than glad to help you in any way we could during the whole situation. Thank you for staying and keeping us updated on his progress. We appreciate you and hope you both choose to stay with us the next time you are in the Pigeon Forge area. My family and I stayed 3 nights at this condo and we loved it! It was very nice and peaceful. The view from the balcony was so pretty, and we also grilled out one night down by the water. The only thing I would've liked to have been different was maybe an indoor pool and hot tub because it was out of season for the outdoor pool. We did have a jacuzzi in our room though, and that was very nice. Thank you for staying with us at Cedar Lodge. We are so happy to hear that you enjoyed your stay and the beautiful river view. Please try our sister property, Whispering Pines Resort, they have an indoor pool facility that is great for the cooler months of the year. We appreciate your wonderful review and look forward to seeing you again soon. Our first time to stay at Cedar Lodge Condo. 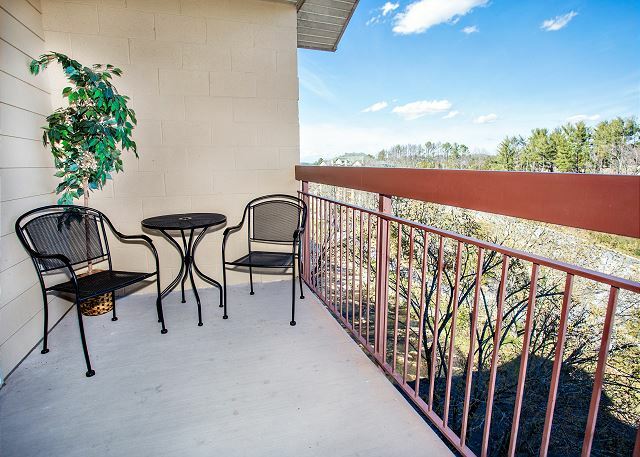 The condo was clean, quiet and the location was perfect to avoid traffic to and from Dollywood. The customer service on the phone and in person was very helpful and friendly. So happy to find a nice place to stay. You are correct! 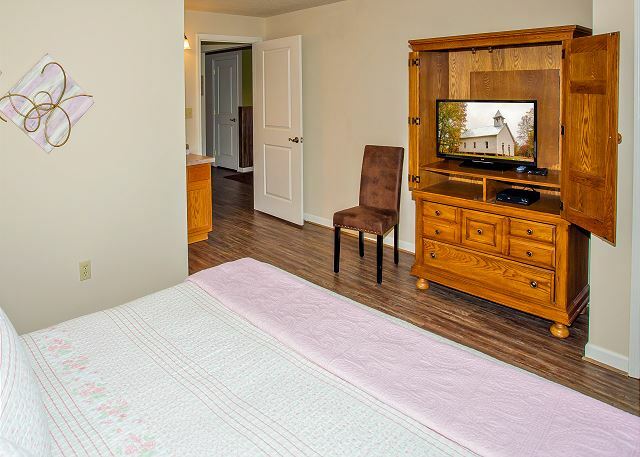 Cedar Lodge is very convenient to Dollywood and the parkway in Pigeon Forge, TN. We, too, are glad that you have found a nice place to stay. We look forward to your return visits. Enjoyed stay, excellent property, good location. Thank you! We appreciate you and your review. We look forward to your next visit with us at Cedar Lodge! Thank you for staying at Cedar Lodge. We are so pleased that you enjoy our resorts, most of our guests have their favorite just like you. We will pass along your suggestions to the condo owner. We appreciate you and your feedback. We look forward to seeing you next time! Thank you for staying with us at Cedar Lodge. We are glad that you enjoyed staying with us during the Fall Car Show. We appreciate your review and hope to see you again soon. We had a wonderful time! The room was ver clean and had plenty of room to move about. Nice view out on the private deck of the little creek running behind it. Nice view of the smokey mountains out front. Room was really quite and very clean. Thank you so much for the feedback, Cedar Lodge is a great property. Glad you enjoyed staying with us....come back again soon! Thank you so much for the feedback, Cedar Lodge is a great property and in a wonderful location, so glad you enjoyed staying with us, come back again soon! Relasing, although trash pickup at 5:45 AM disrupts a sound sleep! We appreciate your visit and your review. Wish we had control of the hours for the garbage pick-up but we don't. We apologize for their disruption. Hope you will make plans to stay with us again. Great location on the river. We walked to Dixie Stampede. My boys loved walking down by the river and watching the ducks. The condo was clean, and the beds were comfortable. There were only two chairs on the balcony for our family of 4. I cooked breakfast every morning. The unit needs a nice skillet and a measuring cup. Overall, we thoroughly enjoyed our stay. 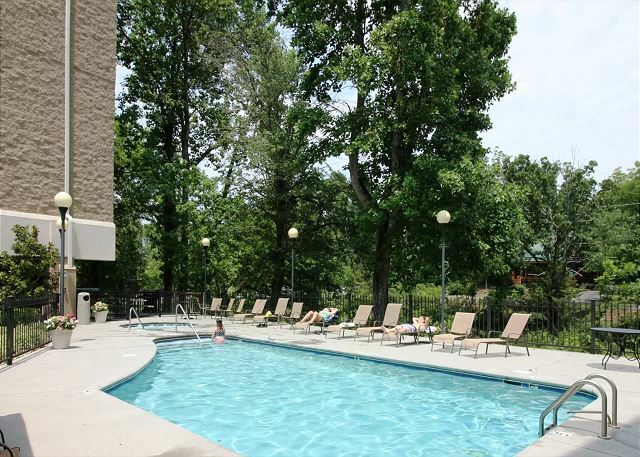 Thank you for your visit and review of unit 704 at Cedar Lodge Condos on the River in Pigeon Forge, TN. We will pass the information regarding needing more chairs on the patio and skillet and measuring cup for the unit. Glad the boys made some good memories while walking the river bank and watching the ducks. Thank you for staying with us at Cedar Lodge. We are so pleased that you had a great experience while at staying in condo 704. We hope that you are able to visit us again in the future. Absolutely more than what my wife and I expected. Very very clean, very quite and close to all attractions. Will never stay in another hotel. Good idea. 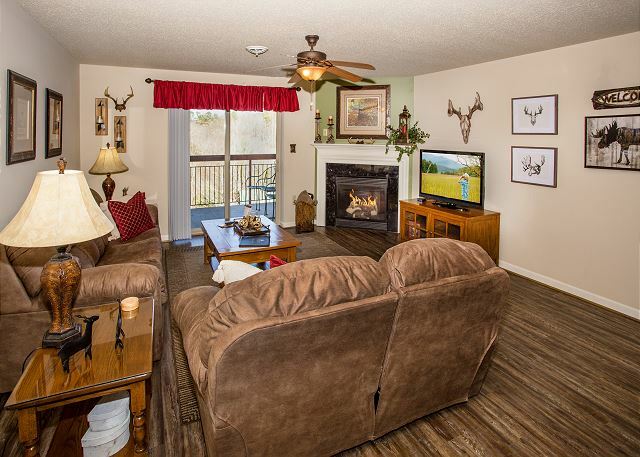 Give us a call at Cedar Lodge Condos on the River in Pigeon Forge, TN. We appreciate your visit and your review. 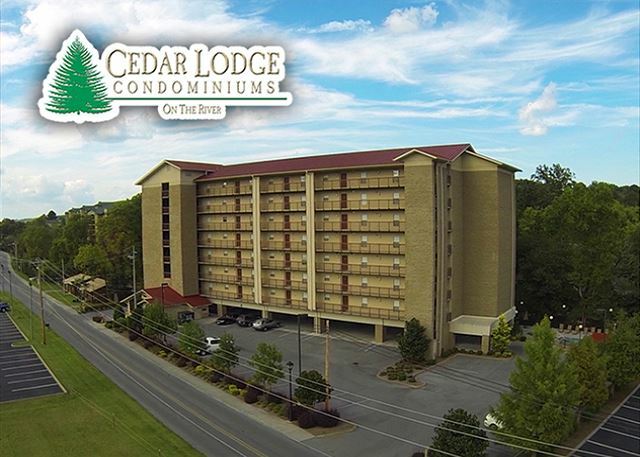 Cedar Lodge Condos on the River is located in a quiet area but is close to everything Pigeon Forge, TN has to offer. 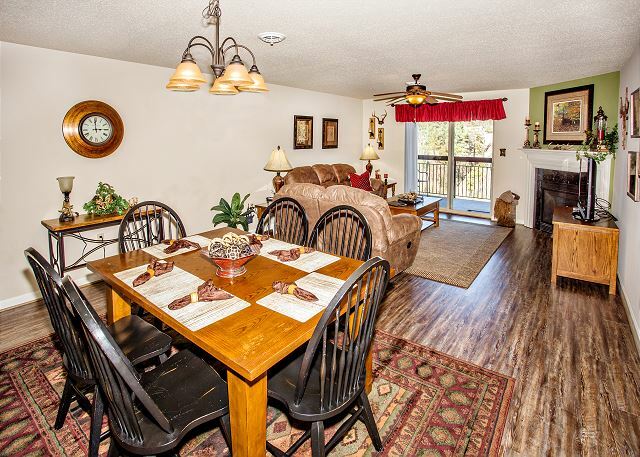 We have 3 properties: Whispering Pines, Bear Crossing, and Cedar Lodge Condos. All are located in Pigeon Forge, TN. Rental property was great. Very clean and nice accommodations. Thank you for staying with us at Cedar Lodge. We are happy to hear that you enjoyed your stay and your accommodations. We hope you will visit us again. We were very happy with our accommodations! Thank you for staying with us at Cedar Lodge. We appreciate your business and hope that you can visit with us again. Good facility, but noisy in the AM when Dixie Stampede is undergoing trash removal. We are pleased to hear you enjoyed your stay at Cedar Lodge. We apologize for the noise due to trash removal, unfortunately we have no control over the trash pick-up times. We appreciate your patronage and look forward to your next visit. Thank you for staying with us at Cedar Lodge. We love that you call us your home away from home. We love having you and look forward to your next stay with us. managers was pretty accurate, the room we were in, 704, had a nice view from the balcony of Little Pigeon River. Would have been nice to have a balcony view of the mountains but can't complain either way. The condo was clean and fairly up to date with the furniture. 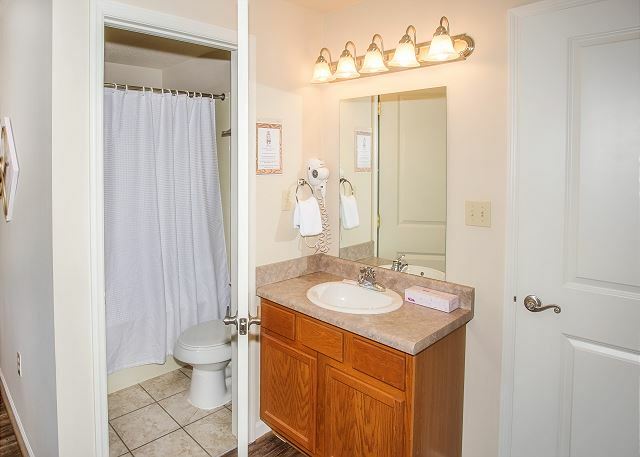 Would have liked for the bathrooms in both bedrooms to be attached to the bedroom, had to come out of the bedroom to reach one of the baths, alittle inconvenient, but doable. Overall, pretty pleasant stay at Cedar Lodge and would recommend it to friends and family. Thank you for staying with us at Cedar Lodge, we greatly appreciate your business. Cedar Lodge is a great property with wonderful river views-it's close to the Parkway, but yet very secluded. We do have another property called Whispering Pines if you are interested in getting a mountain view on your next trip to the area. Again, thank you for visiting with us here at Cedar Lodge! We hope to see you in the future. Just got back for the third time in six weeks to the smoky mountains. I stayed at Cedar Lodge all three times. Great location, good price and very nice place. Easy to get in and out of without a lot of traffic and right of the Parkway. I will be back. Thank you for staying with us time after time! We look forward to your next stay with us!